On Wednesday afternoon, we met with the Rt. Hon. Nick Hurd MP, The Grenfell Minister. 1. Justice4Grenfell is supporting Andy Slaughter MP for Hammersmith, who has tabled a private members Bill on Freedom of Information Act (Extension). The Bill highlights how dependent we have become on contractors for public services, yet the current FOI Act suffers from a major loophole; information which the contractors themselves hold about their services may not be covered. If the contract doesn’t give the authority the right to obtain that information from the contractor, the public has no right to it from the authority. The transfer of a function from the authority’s staff to the contractors, may signal the denial of the public’s right to know under FOI. When the Grenfell Action Group made FOI requests to the former Kensington and Chelsea TMO, they were denied this. They will now be given that information by the Grenfell Inquiry and Police Investigation. 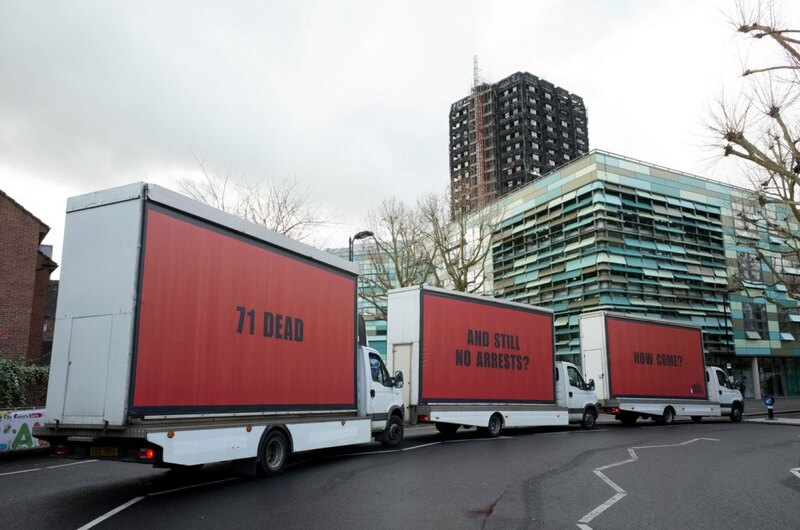 It may be that if the Grenfell Action Group had accessed and scrutinised crucial information prior to June 14th 2017, the fire at Grenfell Tower would not have happened. Justice4Grenfell supports this bill, and we have asked the Rt Hon. Nick Hurd MP to support it when it gets a debate date in Parliament. 2. We have also asked the Minister to look at applying the same principle to the Public-Sector Equality Duty under the Equality Act 2010. The Act should be amended so that Public Authorities outsourcing bounds Contractors to the Duty. The broad purpose of the equality duty is to integrate consideration of equality and good relations into the day-to-day business of public authorities. If you do not consider how a function can affect different groups in different ways, it is unlikely to have the intended effect. This can contribute to greater inequality and poor outcomes. Compliance with the general equality duty is a legal obligation, but it also makes good business sense. An organisation that is able to provide services to meet the diverse needs of its users, should find that it carries out its core business more efficiently. By outsourcing public services to contractors has allowed a caveat for them to renege on their statutory duties. 3. Justice4Grenfell attended the Grenfell Recovery Scrutiny Committee meeting on Tuesday 24th July. It is clear that community trust and confidence in the work of the local authority is not improving and the mere change of venue for the GRSC is not working. The GRSC intends to co-opt four community members to the committee. We have asked the minister to support our request that one of the co-opted members is also appointed as a co-chair to alongside current Chair Cllr Robert Thompson. There needs to be action to build trust and confidence, not just words and venue changes. Not only will the appointment of a community co-chair begin to build public trust, but it will also ensure that there is somebody chairing who really understands the needs and temperament of the community. 4. Additionally, a huge contribution to building trust and confidence would be a ‘tier of scrutinisers’ at RBKC who the community will have immediate trust in. 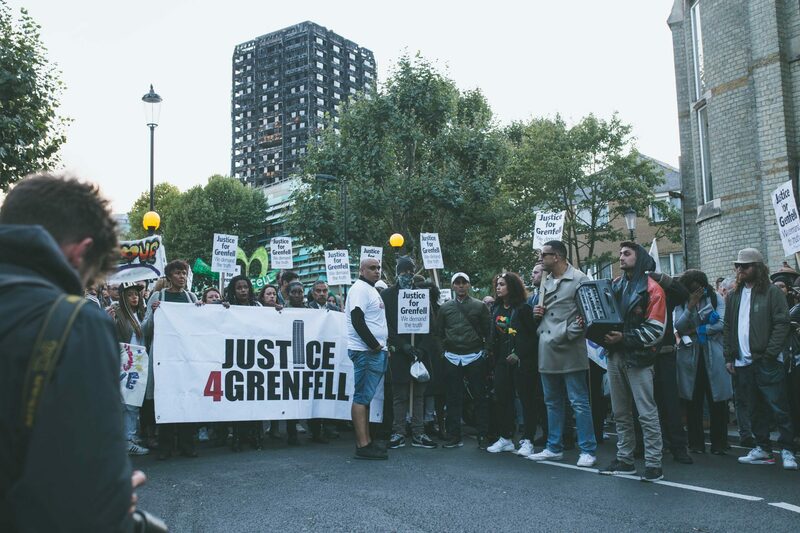 Justice4Grenfell discussed with the Minister that it would be prudent for RBKC to have non-executive Directors with effective community knowledge and understanding plus equal decision-making powers to the CEO. This would instantly increase openness and transparency and be a great step towards building community trust and confidence. We hope that Minister has listened and will support these recommendations.